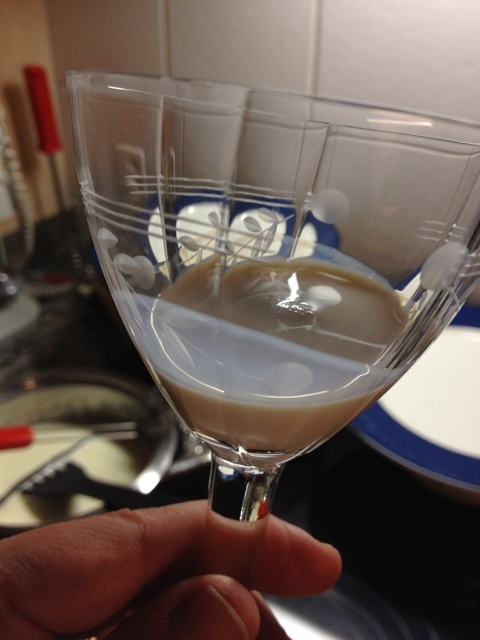 Yesterday I bought my first bottle of Coole Swan dairy cream liqueur and loved it. 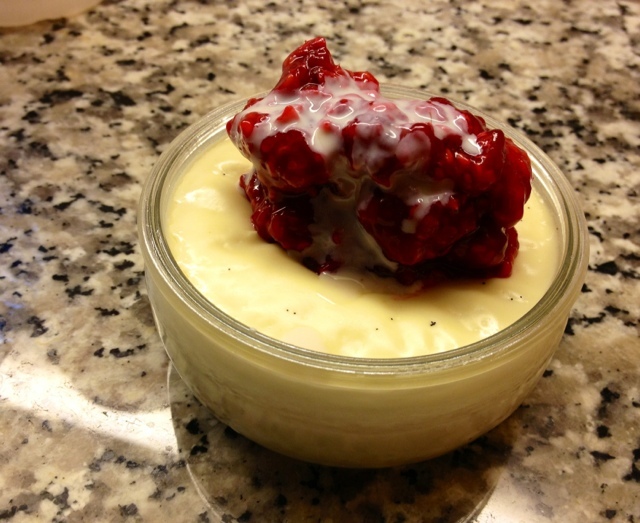 It is a dessert in itself (taste- and very likely caloriewise…) but still I was looking for recipes to use it in. 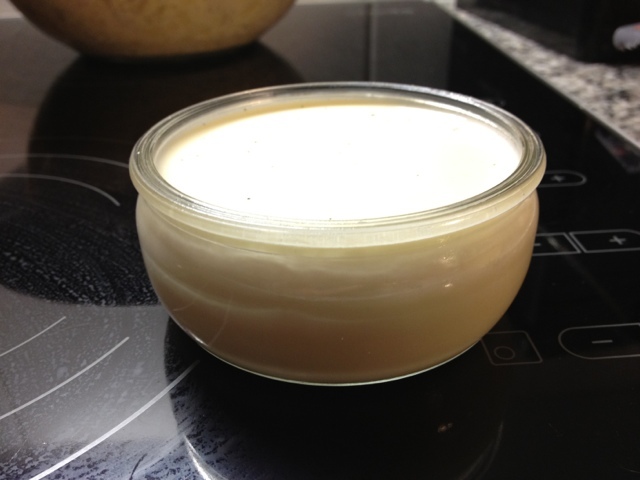 The panna cotta recipe on the Coole Swan website tempted me the most. 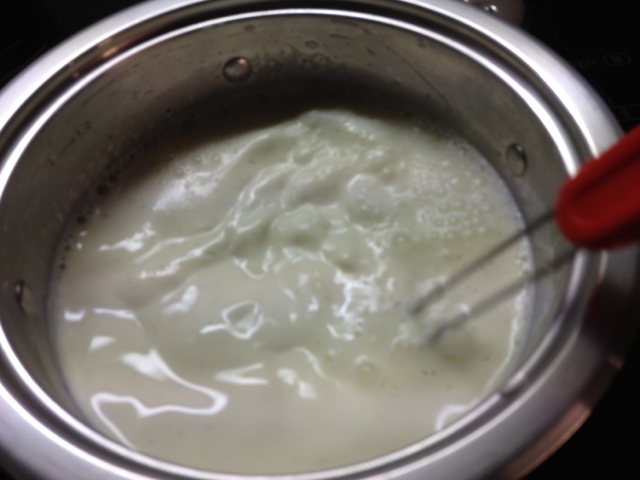 It is very easy to make, simply heat 500ml heavy cream and infuse it with 1 vanilla pod. 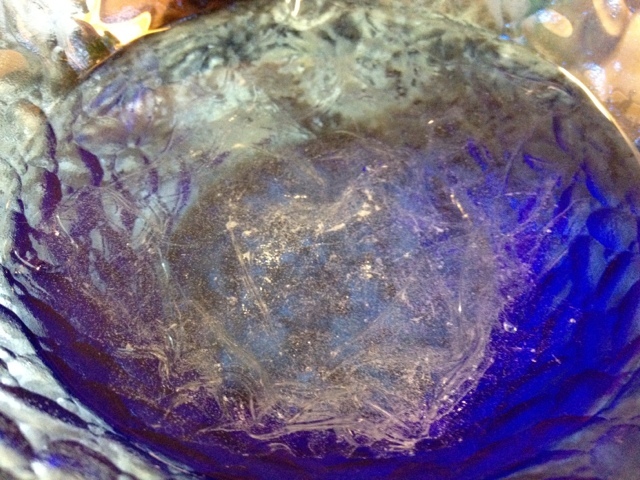 While the cream is simmering away, have a sip of Coole Swan. 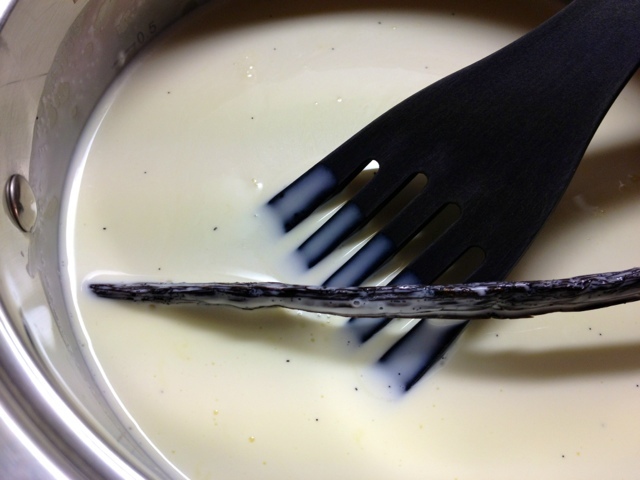 Then take the cream off the heat, remove the pod and dissolve 3 gelatine sheets in the hot vanilla cream. Have another sip of Coole Swan while the mix cooles down. 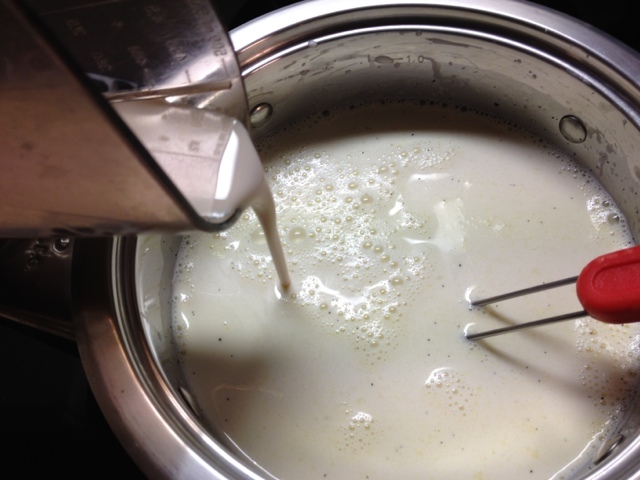 Whisk 150ml of Coole Swan into the cream and pour it into glasses or ramekins. Now leave to set in the fridge for a few hours (mine took 4 hours to set properly). I served them with squashed raspberries with a drizzle of Coole Swan on top.